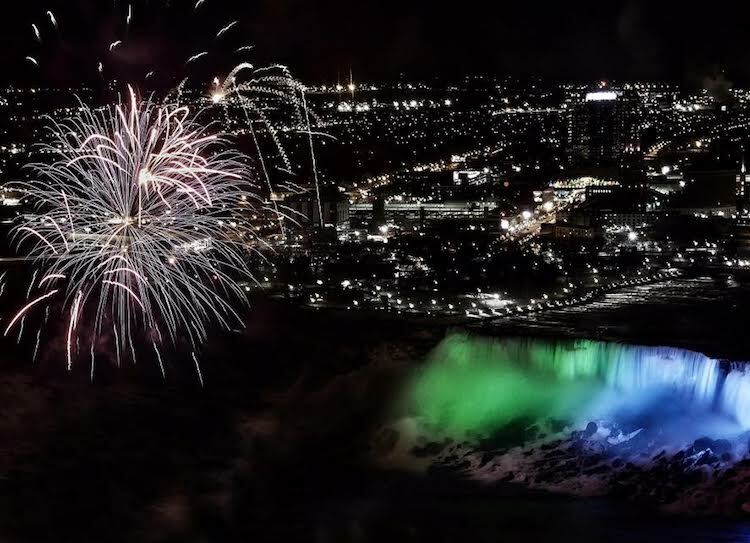 Over 12 million visitors flock to Niagara Falls each year. 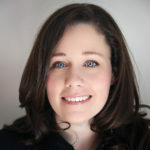 They travel from across the globe to experience the dining, shopping and attractions of the area. 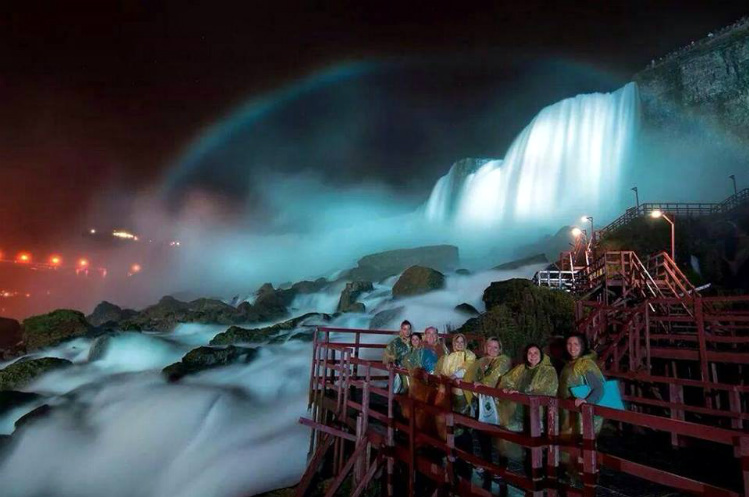 Read on for the top 10 things you didn’t know and things to do in Niagara Falls. I grew up only a few hours from Niagara Falls but didn’t begin to explore the area until I had children. I fell in love with the many parks and hiking trails. Yet I must admit the hotels and fun attractions kept me returning for more. 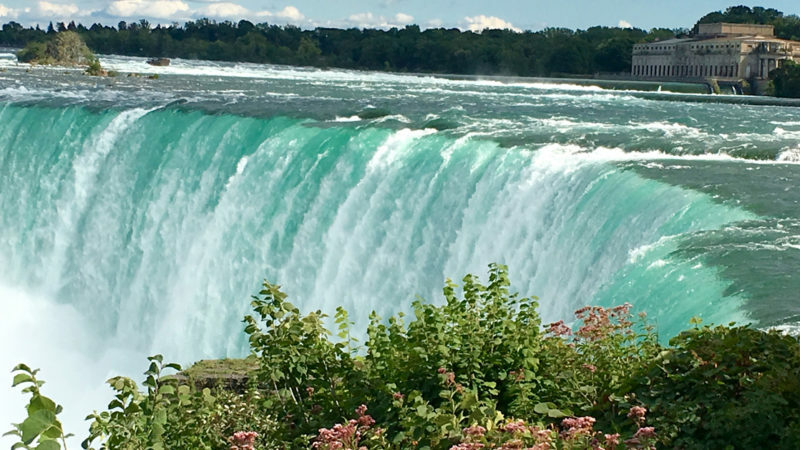 Here are my favorite things to do in Niagara Falls and some pretty cool information you might not know about the area. Niagara Falls is located on the border of New York and Ontario, Canada. 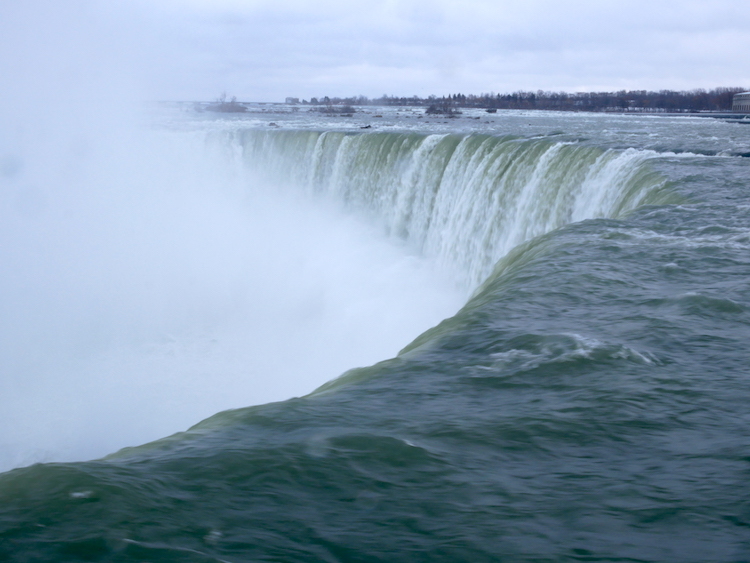 The falls consist of 3 separate falls: the Horseshoe Falls, American Falls, and Bridal Veil Falls. While both the American and Canadian sides of the falls offer different activities, most people choose to book hotels on the Canadian side, due to their proximity to the falls. Many people prefer the walkability of the Canadian side in terms of shopping, restaurants, and things to do in Niagara Falls. There are 3 Indoor Waterparks in Niagara Falls, Canada, perfect for families. My favorite is Great Wolf Lodge. Kids will love the over 100,000 square foot waterpark, arcade, and wizard quest. It’s a quick drive to the actual falls. 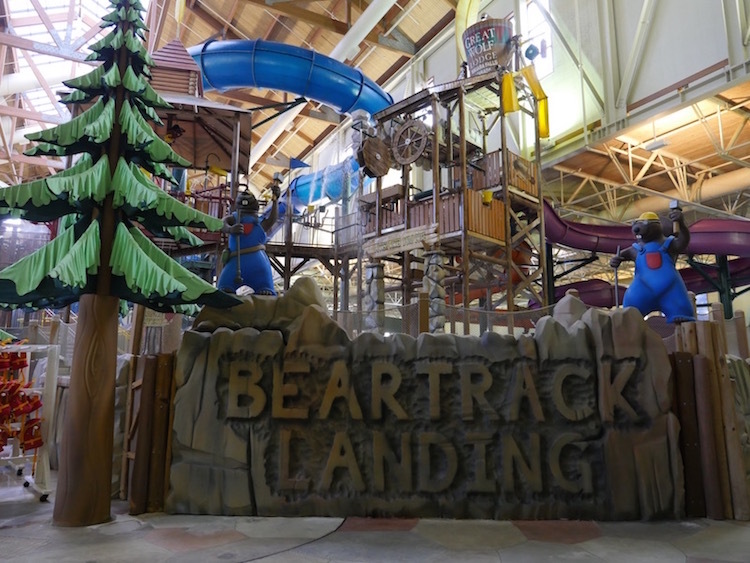 Overnight parking at Great Wolf Lodge is free for registered guests. Another waterpark is Fallsview Indoor Waterpark, shared between 4 hotels and offering daily admission options for unregistered guests. Located right in the heart of the Niagara Falls tourist district. this waterpark tends to be a little busier. When booking your hotel, make sure to upgrade your room with waterpark passes as they are not included. The third waterpark is located inside the Americana Hotel on Lundy’s Lane. 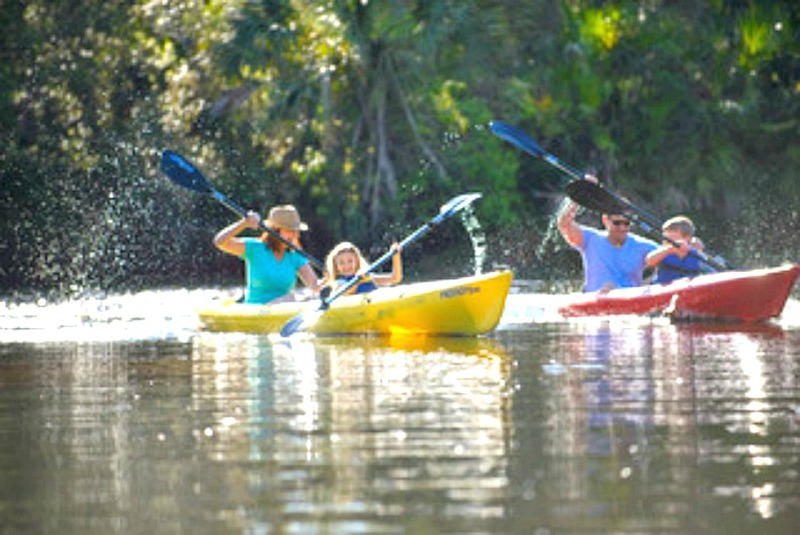 This area features great budget hotel offerings and plenty of family restaurants. 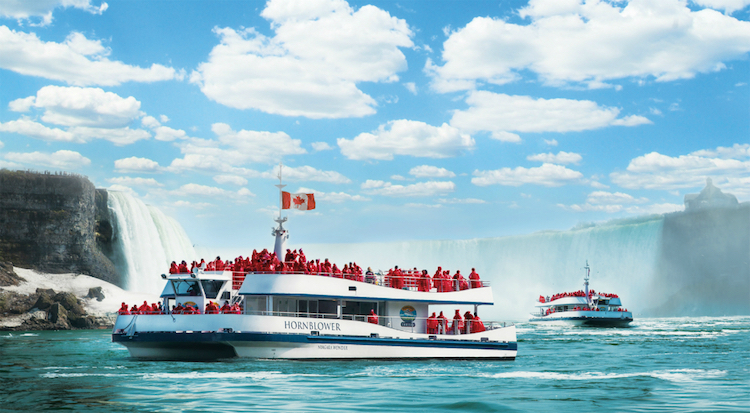 The closest you can get to the Falls by boat is through Maid of the Mist tours in the US and Hornblower Niagara Cruises on the Canadian side. Both boats operate seasonally and take the same path through the falls. You can actually tell which is which by the color of the raincoats tourist wear. Red is the Hornblower and blue raincoats belong to the Maid of the Mist tour. Once you have experienced the Falls by boat, you can take it a step further with unique views of the Falls from a zipline. Take one of four ziplines that face the American Falls and Horseshoe Falls, 2,200 feet at a speed of 40 miles per hour. While the zipline doesn’t cross over the falls, the 220-foot high vantage point is not to be missed. Time your ride on the four ziplines simultaneously as your family, making for some epic Instagram photos. Surprisingly, in person, the Falls are not as tall as one would expect. In fact, the largest vertical drop is only a little over 50 meters high (almost 55 yards). The falls are particularly known for the immense amount of water that shoots over them; it’s about 28 million litres per second. The best way to really feel the force of the falls is to experience the Cave of the Winds tour in Niagara Falls State Park. The park is the oldest State park in America and the tour one of the not to be missed things to do in Niagara Falls. Guests are provided with rain gear and specialty sandals before traveling by elevator 175 feet down into the Niagara Gorge. Upon exiting the elevator, follow wooden walkways along the river to the Hurricane Deck, only a few feet from Bridal Veil Falls. Expect to experience tropical storm-like conditions. Don’t expect to capture too many successful selfies. 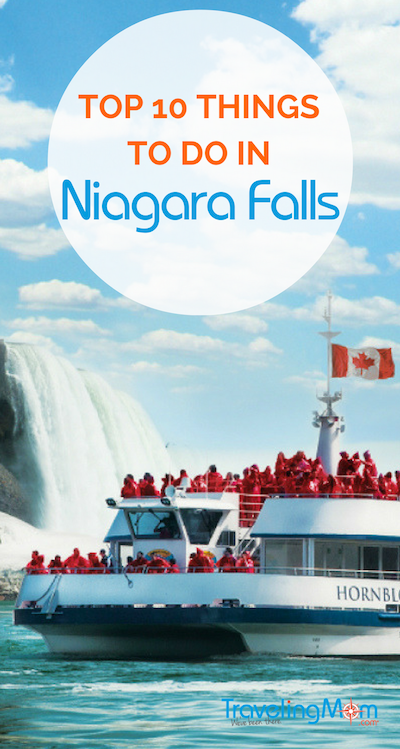 Niagara Falls offers plenty of amazing outlet shopping for families looking for a bargain. Since the Canadian dollar tends to sit at a lower value than the American dollar, it’s even cheaper for visitors from the US. The Outlet Collection at Niagara Falls is made up of over 100 brands from Nike to more luxury offerings like Saks and Nordstrom. The mall also offers a great outdoor playground for kids. 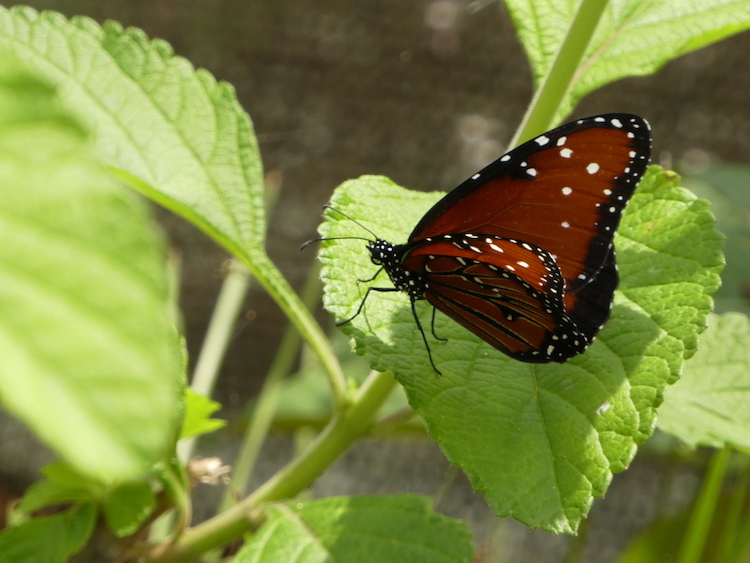 Niagara Falls is home to a beautiful Butterfly Conservatory. Located minutes from the falls, this conservatory features over 2,000 colorful tropical butterflies. It’s the perfect place to take a break from the hustle and bustle of the tourist district. The Nightmares Fear Factory is the oldest haunted house in North America in continuous operation. It’s said to be built in an old coffin factory where the owner was killed when crushed by a stack of coffins. Be prepared, this haunted house is not for the faint of heart or children. For teens, this is definitely one of the most fun things to do in Niagara Falls. 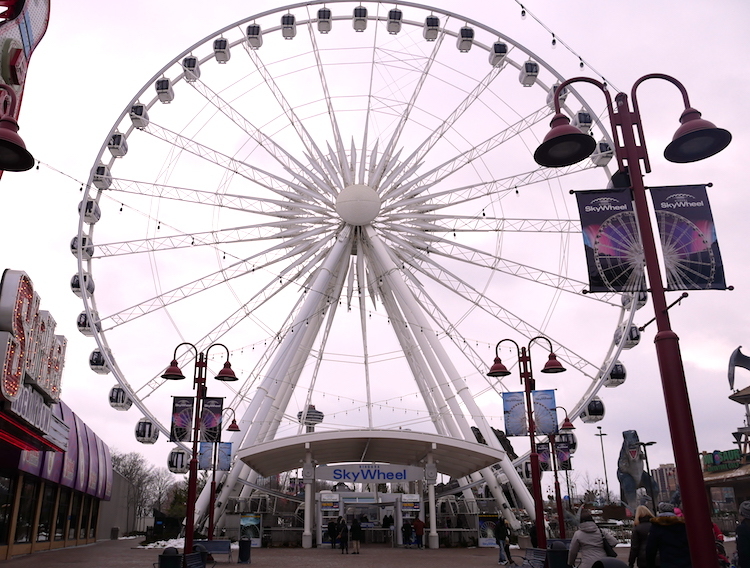 The Niagara SkyWheel soars 175 feet above Niagara Falls and is one of the best places to take photos of the falls. The ride is slow and lasts for 8-12 minutes. The view of the falls is really quite different and kids love the experience. While Niagara Falls offers a few luxury options, there are plenty of budget hotels and deals to be had. Check out our Traveling Mom deals page for hotel options and head to Groupon.com to save money on restaurants and activities. No matter when you visit, there are plenty of things to do in Niagara Falls to keep the whole family entertained! Great… but… .For Americans, we can’t go into Canada without a passport, and for those of us who don’t have one, it’s a pricey add-on to a vacation. 🙁 Thinking of taking Beloved to Niagara for our honeymoon, but I need to learn more about handicapped access and things we can enjoy on the American side. Passport Cards are $30 for adults and $15 for kids under 16. It took us about 2 weeks to get ours. They can be used in any country you drive/boat into (no flying). They can be used as ID an for as having prior passport when upgrading for a bigger trip.